In the previous article, we saw the factors responsible for location of Lumber, Paper Pulp and Fishing industry (click me). Now let’s check some industries based on natural fibers. Cotton as a raw material=lightweight, non-perishable. Cotton to yarn/textile =hardly any weightloss. Result=other factors become more important in industrial location viz. In dry climate, the cotton-threads will break quickly during spinning. Machine halts, you’ve to join the threads again to restart operation=not good for mass production. on the other hand, humid climate= thread will rarely break. So, cotton textiles were setup near costal areas. (e.g. Mumbai, Osaka, Lancashire). Today we’ve humidifiers that can artificially increase the air-moisture in factory/workshed= you can setup factory anywhere, run it efficiently, irrespective of climate outside. port location= easy to import long-staple cotton from Egypt, foreign textile machinery. Black lava soil=good for cotton cultivation but not sufficient to meet the demand. Osaka=port location, majority of production done with imported cotton from India, Egypt etc. Transport Mumbai=well connected via rail, road, airways, seaways. Osaka=Sea port + important railway junction. During American Civil War capitalists of Mumbai earned big profit by exporting cotton. This money was used to establish textile mills. Today, Mumbai has good facilities for banking-finance. Available from both government and private sector. High production using latest machines and automation technology. Market Mumbai and India=large population =vast market Local market + export by sea to Australia, US. + Japan also uses petro-refinery byproducts for mfg. synthetic fibers. Raw material Available from nearby districts. same + cotton variety known as “Cambodia cotton” is grown. Although in the 80s, most of the Ahmedabad mills fell sick and closed down. Industry shifted towards Surat-Khambhat region of Gujarat. Raw Material Cheap Cotton from its colonies (India, Egypt). Later Manchester Ship Canal was developed to turn Manchester itself into a port. Water Streams from Pennine hills=soft water for dying bleaching. In the initial phase of Industrial revolution, same water was used as source of energy for running Arkwright’s spinning machine. Labor By 1600 production of a fabric called “fustian” started in England. Fustian makers settled in this region because humidity helps in cotton spinning. 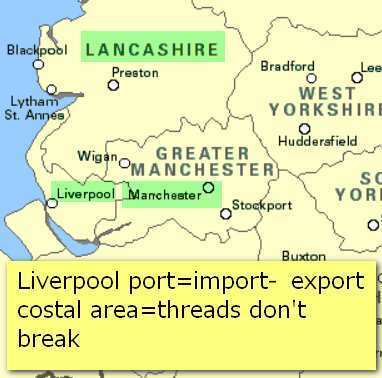 Market Demand in Europe + Lancashire faces American ports. The decline of British Textile Biz. After WW2, Britain lost its colonies one by one, dirt cheap cotton=no longer available. during 20th century cheaper imports from Hong Kong, Japan and other parts of Asia. Even the former colonies of Britain also started using those cheaper clothes, so Lancashire=no longer receiving large orders. Business moving towards coastal areas for better opportunities in shipbuilding, marine engineering, soap, heavy chemicals industries. Hence, Textile industry fading away, old factories are refitted for production of light-engineering items. (Reason? = industrial inertia, we will see that in Iron-steel industry article later on.). 6 States located in the North East corner of US North Carolina, South Carolina ,Georgia, Alabama, Mississippi. Include parts of Texas and California. Proximity to Boston and New York= ports and domestic market. 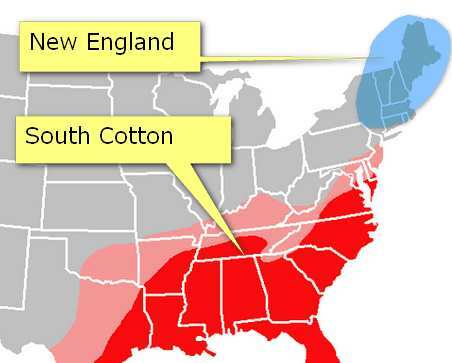 large cotton growing areas: US cotton belt is 1200+kms broad and 4000+kms wide. slave labor during colonial era helped in growth. Today farming is mechanized=lack of labor doesn’t create much problem. The New England factories little room for expansion due to mountains. Today New England industry is concerned mainly with high-end specialized fashion products for New York etc. While Southern Mills produce garments for masses. Southern state also had pulp mills for production of rayon= growth of both cotton+synthetic industry. Geography aidiing Chinese Textile Biz. good railroad connectivity with hinterland. 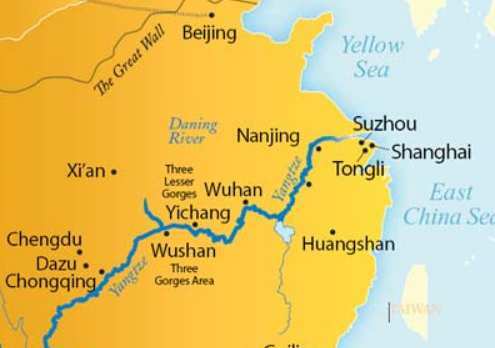 Yangtze river =inland water transport. market within china: Nantong, Wuhan, Chongquing etc. connected via Yangtze river. Apart from Shanghai, Cotton also produced in the areas around Hwang-Ho valley, Sichuan, Nanjing, Beijing and thanks to labor availability (and domestic demand), textile industry is found in those places as well. In the Next article, we’ll see the factors affecting location of Silk Industry. Why does Ahmedabad need to import cotton from neighbouring states? Gujarat has black soil.